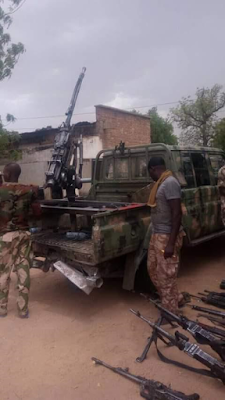 Troops of 21 Brigade of the Division of the Nigerian Army killed 15 Boko Haram militants and captured large quantities of terrorists' equipment in Borno State. A statement issued by Lieutenant Colonel Kingsley Samuel, Deputy Director Army Public Relations 7 Division says the Acting General Officer Commanding (GOC) 7 Division Nigerian Army, Brigadier General Victor Ezugwu has commended the troops for repelling the terrorists who attempted incursion into their location in Sambisa forest, Borno State in the early hours of Thursday, April 27. 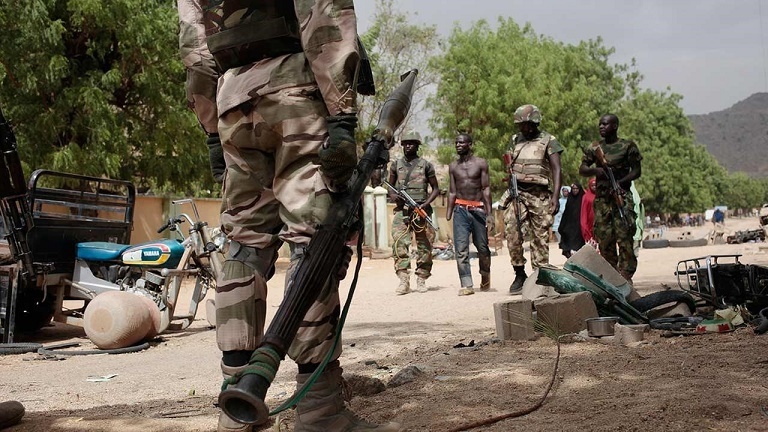 "The troops resilence paid off with heavy battering of Boko Haram terrorists leading to the terrorist sustaining huge casualties in fighters and equipment. 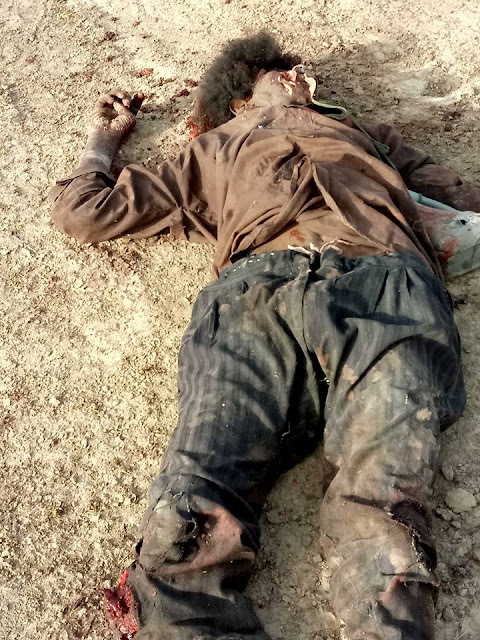 The terrorists paid dearly as the troops neutralized 15 of them and wounded several others. "In addition, the gallant troops made heavy seizures with the destruction of 1 vehicle bound Improvised Explosive Device (VBIED) belonging to the terrorists and capture of 1 Buffalo Gun truck mounted with Long Barrel Shilka Gun, 2 General Purpose Machine Gun, 1 PKM Gun, mortar tubes, 3 AK-47 rifles, 2 FN rifles, 1 G3 rifle. Others are 5 pieces of 60mm mortar Bombs, various GSM handsets, 36 Hand Grenade, 12 rifle magazines, Shilka fill tray, 750 rounds of 7.62mm (NATO) ammunition, 106 rounds of 32mm ammunition, a 12 volt battery, 3 Automatic Grenade Launcher bombs and 5 mortar charges, among others. "The GOC enjoined troops to remain resolute in the fight against the Boko Haram terrorists and insurgents in the North East in order to ensure total compliance with the Chief of Army Staff, Lieutenant General Tukur Yusufu Buratai's directive that remnants of Boko Haram terrorists are flushed out of Nigerian territory.